Key networker, got the NRI crowds at Modi’s rockstar appearances in NY and Sydney. London next. The importance of being Ram Madhav, jokes a BJP leader, lies in his proximity to both ‘M’ and ‘D-company’. While M has for ages stood for the fictional head of the British Secret Service in Ian Fleming’s thrillers, in India the letter now stands for Prime Minister Narendra Modi. And though ‘D-company’ has always had a negative connotation in Mumbai, in the macabre world of Lutyens’ Delhi politics, the phrase has come to be associated in 2014 with the father-son duo of natio­nal security advisor Ajit K. Doval and his son Shaurya Doval. A senior pracharak in Nagpur uses a different analogy, “If Modiji is Ram, then his Laxman and Bharat are Amit Shah and Ram Madhav.” The message however remains the same: Ram Mad­hav is the man Modi trusts and the one Shah turns to. A personable, ever-smiling presence of the ‘cultural organisation’ on national television for several years, the last few months have seen Madhav’s political profile rise dramatically following his ‘deputation’ to the BJP and almost immediate appointm­ent as a party general secretary. He is arguably among the half a dozen of the most powerful men in Delhi and he is there wherever Modi goes: New York, Sydney, Kashmir, Kathmandu. Naturally, this has left a lot of people flummoxed and more than a few seething. An old RSS hand told Outlook, “It’s fine for you to do a profile and he might himself buy a few hundred copies for distribution...but he is certainly not a great or even good example of an RSS pracharak.” There are some in the RSS who seem to resent his flashy lifestyle. “He had a car when pracharaks did not have one; he had fancy mobile phones when pracharaks had none,” claim some. There are titters at a quickly-deleted photograph from his Twitter account. Even within the BJP, a few leaders roll their eyes at Madhav’s recently acqui­red aura. 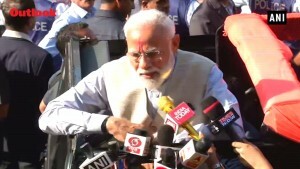 “Many senior journalists have inquired how the RSS is comfortable with all this sho-sha and I always tell them that the late Pramod Mahajan would often say that while he was being criticised for using a Contessa, a time would come when RSS pracharaks would be moving in much flashier cars,” confides a BJP leader. So could Ram Madhav, 49, be just ahead of his time? His vigorous defence of Modi’s role in the 2002 riots brought him close to the then Gujarat CM. 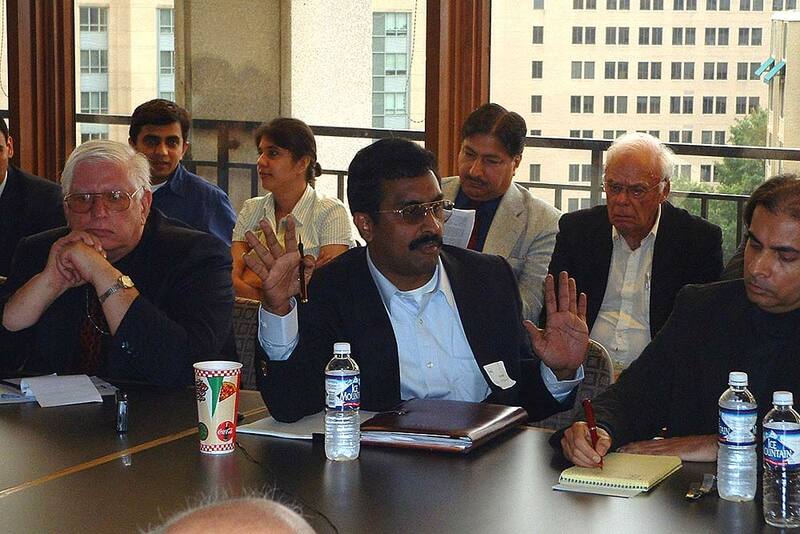 On a US lecture tour in 2004, he went about with bodygua­rds and talked about the Hindu worldview. Invited to speak by none other than Sunil Khi­l­n­ani, director of the South Asia programme at John Hopkins University, he dogge­dly put forth his views. A media report described his performance as “incoherent tumbles and bizarre leaps of mind” even as students signed petitions agai­nst his appearance. Since then, he has visited the US more frequently than his mentor and worked assiduously to build a base among Indian Americans and lobby among US lawmakers. Sources confirm that Madhav made three trips prior to the PM’s US launch to organise the grand reception and frenzied crowd. The result was exactly what Modi had envisaged for his first trip to the US as PM. Sure enough, Madhav was asked to repeat the Madison Square euphoria for Modi in Sydney, Australia. Away from the official itinerary sugg­ested by the PM’s men, it was Madhav who persuaded Modi to add Fiji to his official Australia trip at the last mom­ent. Clearly, Madhav successfully communicated the message Modi wan­ted to convey to the world, that of him being a popular PM both in India and, increasingly, overseas. Next stop: London. So, just what accounts for Madhav’s proximity to M&D? Insiders claim that it was he who organised regular trips of diplomats, foreign scholars and journalists to Gandhinagar for “idea excha­nges” during the period Modi wasn’t quite kosher and that he frequently accompanied Doval to Gujarat. The India Foundation directorship also gave him a ticket to the international seminar circuit. On a visit to Sri Lanka in August this year, he predicted he would soon be BJP general secretary, weeks before the formal announcement. He also assured his hosts that they need not be worried about the shenanigans of then Tamil Nadu chief minister Jayalalitha. Her days, he presciently predicted, were “num­bered”. Soon thereafter, Jayalalitha was convicted, jailed and disqualified. It’s the think-tank experience that gave Madhav his present flair and currency. A self-confessed expert on China, he wrote in a column in The Indian Express that “the real foreign policy challenge comes not from Pakistan but from China”. He laments the utter lack of knowledge about the country among Indian intellectuals and experts and in several columns has underscored the point that “China is not just a country or a government but it is an entire civilisation”, that Indians should know Sun Tzu’s Art of War and study Confucius and the Chinese military’s allegiance to the Communist Party of China before dealing with them. In both the RSS, which he joined when he was barely four years old (his father Surya Narayan was a state secretary of the Jan Sangh in Andhra Prad­esh and his mother Janaki Devi too was associated with the party), and the BJP, to which he was “leased” in July 2014, Ram Madhav has been “special”. 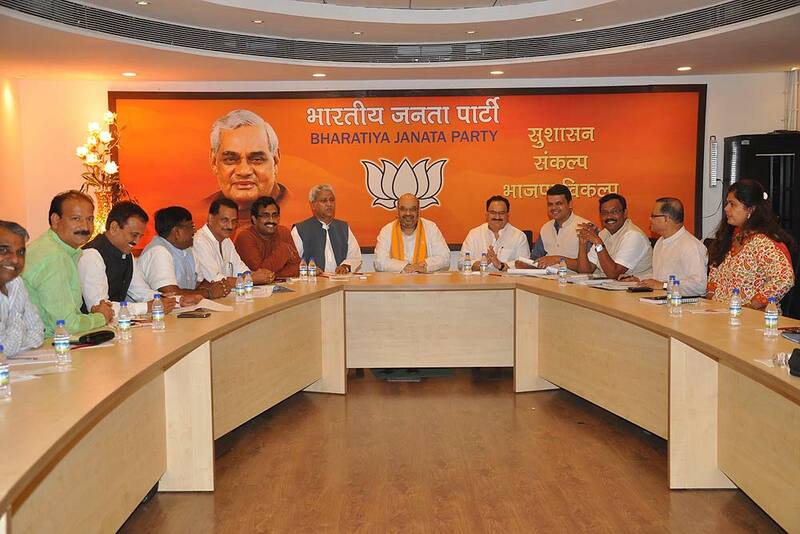 The four-month-old BJP general secretary is acknowledged to be far more powerful than many Union ministers. His Facebook profile describes him as a “top intellectual” and author. And he seems to like posting wacky witticisms and quotes of Swami Vivekananda, in both Hindi and in English. A recent post: ‘Intelligence (Buddhi) can help in amassing wealth but wealth is of no help in becoming intelligent.’ A compulsive blogger till recently, now it seems his blog can be accessed by only those who have the password. While that may well be just a tale, what is known is that he likes his fancy smartphones and iPads. He dresses as nattily as Modi, specially when he travels abroad, and is not averse to having a good time in five-star hotels contrary to the austere RSS stereotype. The RSS, he insisted in an interview, was changing with the times. He himself had apparently been to a shakha where volunteers played rugby. Word has quickly spread that he vets a large number of the appointments made by the government and a crowd of supplicants can invariably be found waiting at the BJP office on Ashoka Road for a “darshan”. One of them looks suspiciously at the Outlook correspondent and volunteers that all the personal assistants of Union ministers need to be approved by Ram Madhav first and then sent to Mumbai for training at an institute headed by BJP vice-president Vinay Sahasrabuddhe, a fellow director at the Shaurya Doval-headed think-tank, India Foundation. Born in a Brahmin family in East Godavari district, he has an electrical engineering diploma but went on to get a Master’s degree in political science from Mysore. He dec­ided to join the RSS full time when he was still in his teens and has never loo­ked back. His ability to articulate the RSS viewpoint in a TV era and his relative lack of political ambition are cited by old BJP and RSS hands in Hyd­erabad to explain his meteoric rise. “We remember him as a serious young man who translated speeches of visiting BJP leaders like L.K. Advani into Telugu,” recalled one of them. Once he moved to the capital and bec­ame the RSS national spokesman, he quickly developed and cultivated contacts in the media, acquiring a reputation for accessibility and affability. He turned out to be a good media manager, arranging for interviews with RSS chiefs and articulating reactions of the Sangh. 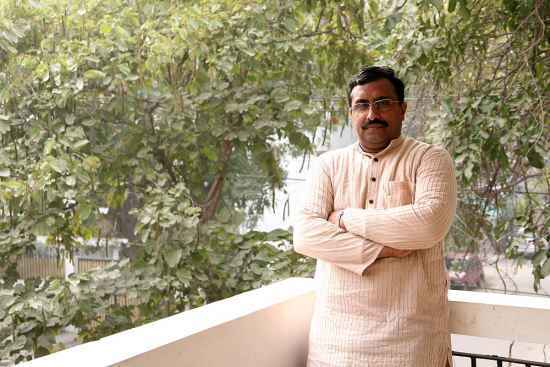 Such has been Madhav’s connect with the national media that even when the Sangh later decided to put together a panel of spokespersons, the media still thronged to Madhav’s modest Jangpura flat in Delhi to collect soundbites and information on the goings-on. Insiders confirm that it was Madhav’s skilful handling of the national media that won him a place in Modi’s inner circle. Eleven years ago, this bespectacled aficionado of Chinese cuisine was entr­usted with the task of establishing a connect between the conservative RSS and the outside world. In 2003, Madhav was brought to Delhi from Andhra after a strong recommendation by former party president M. Venkaiah Naidu. He was appointed as the first and last official spokesperson of the RSS, a post the Sangh had never endorsed ever before, sticking to the concept of prasiddhi pari­mukta (avoiding publicity). In the decade that Madhav devoted to being the RSS’s face in Delhi, he emer­ged as the most influential interface for the Sangh in the international diplomatic community. Today, Madhav can not just boast of being a real globe-trotter but can even claim to have the widest circle of friends in the diplomatic corps in India and outside. A feat no other RSS or BJP man can match. Some say it is to his credit that the RSS today is an organisation with a wide international network. In his current avatar, Madhav, who sta­rted out as a bal pracharak carrying messages to underground RSS leaders during the Emergency, is essentially still a “messenger boy”. Only now, far more powerful and important than any other. So, if the Sangh has to communicate its view on an appointment, it will have to be done through him. If a Sangh official has to speak to a minister, it will still be through Ram Madhav. If the BJP has to make its online membership drive a suc­cess, it will yet again have to depend on the tech-savvy Ram Madhav. If Modi and his men need to reach out to diplom­ats or create a cult out of the PM overseas, Ram Madhav is the man they must call. Insiders confirm that Madhav is the crucial link responsible for the stability and performance of the crucial Modi-BJP-RSS equation. He occupies the grey zone where the three meet and is uniq­uely blessed to handle the job given his proximity both to the Sangh and Modi. 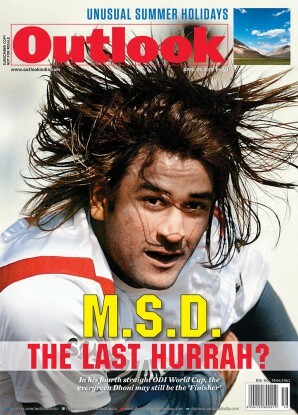 Madhav then is not just the fundamental ingredient required to hold steady the power pyramid within the saffron pari­var, he is perhaps the power ranger ess­ential to add to its overall clout. Deputed to the BJP just four months ago, the former RSS spokesperson has taken to politics like a duck takes to water.